‘MM stands for Mick McCarthy and not Merlin the Magician’, as a former manager once said. 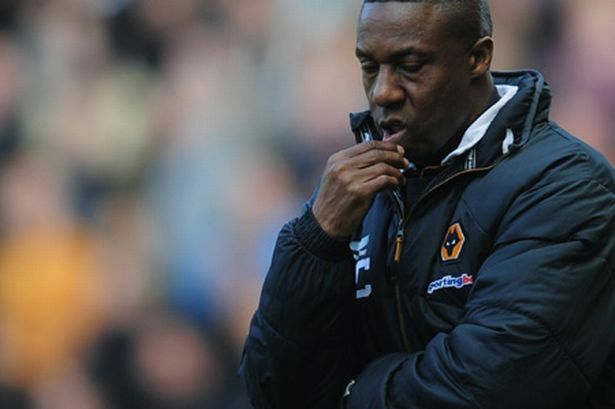 Now it’s Terry Connor’s turn to admit that if he had a ‘magic wand’ plenty of Wolverhampton Wanderers’ problems would have been waved away in an instant this season. With 79 goals conceded in 36 Premier League games there’s little doubt why Wolves lost their top flight status. Only Blackburn, with 75 conceded, also averaged more than two goals conceded per game – and look at their predicament. On 14 occasions Wolves leaked two goals in a game, seven times they let in three, two times it was four, and then there were those wretched five-goal maulings to Fulham, Albion and Manchester United. “If I had a magic wand I’d turn the clock back to last August when we drew 0-0 at Villa,” said Connor. “I’d have waved it then and given it to the gaffer and we’d have stopped conceding goals. “There’s no magic wand though so we just keep working on the training pitch to turn it around. We keep working diligently, working hard and use different players and try to get the right combination. Roger Johnson’s future would appear away from Molineux, Sebastien Bassong’s certainly is and Jody Craddock’s likewise which leaves Christophe Berra, Richard Stearman and the emerging Danny Batth as the club’s central defence options for the Championship. Connor admits the goals against column has been galling. “It is frustrating because it’s cost us Premier League status, or gone a long way towards that,” he said before exonerating his defence from full responsibility. “If you score and score again, there’s a bit of breathing space. “If you put your chances away then the onus isn’t always on defending. “So if you create 10 chances and only convert one, you leave yourself open to the score going to 1-1 from one slip-up. Another bit of poor defending and a slip, and you lose the game 2-1. “That could be a fluke like a setplay which gets caught in the wind and blows over your keeper’s head. “It’s about getting that balance, but if you score one and then get a second, people are more confident about defending and things like that.